Yuxin Chen joined New York University in July 2013 as the Global Network Distinguished Professor of Business at NYU Shanghai, with an affiliation with NYU Stern Marketing. Professor Chen was previously a professor at the Kellogg School of Management at Northwestern University, in addition to teaching at NYU Stern for a decade earlier in his career. Professor Chen's primary research areas include competitive strategies, data-driven marketing, Internet marketing, pricing, retailing, structural empirical models, Bayesian econometric methods and behavioral economics. His research has appeared in journals such as the Journal of Marketing Research, Management Science, Marketing Science and Quantitative Marketing and Economics. 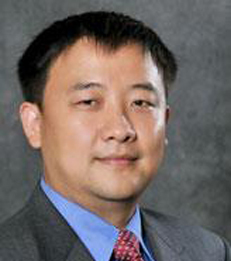 Professor Chen received the 2001 Frank M. Bass Dissertation Paper Award for best marketing paper derived from a PhD thesis published in an INFORMS-sponsored journal, and received the 2001 John D.C. Little Award for the best marketing paper published in Marketing Science or Management Science for his research on targeted marketing. He also received the 2012 Paul E. Green Award at Journal of Marketing Research, which recognizes the article in the Journal of Marketing Research. that demonstrates the greatest potential to contribute significantly to the practice of marketing research. Professor Chen currently serves as Associate Editor for the Journal of Marketing Research, Management Science, Marketing Science and Quantitative Marketing and Economics. He also serves as a Senior Editor for Production and Operations Management Journal (POMS) and Customer Needs and Solutions (CNS). Professor Chen received his B.S. in Physics from Fudan University, and his M.S.B.A. and Ph.D. in Marketing from Washington University in St. Louis. He also studied in the Computer Science Department in the Graduate School of Zhejiang University.